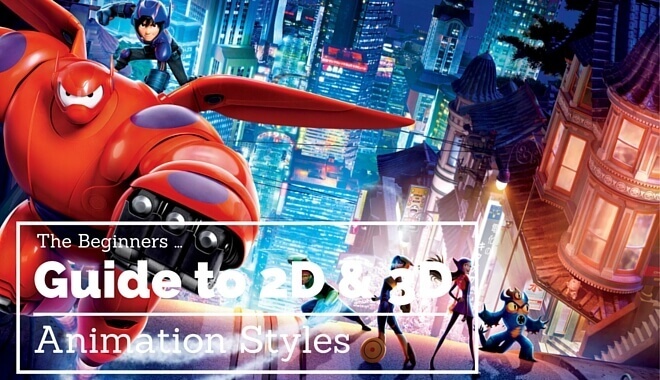 The best way to understand the difference between 2D animation and 3D animation is by remembering what the big differences between 2D and 3D are. A 2D object can only be measured in height and width and exists on a 2D space, like a piece of paper, while a 3D object has a surface, casts a shadow, and can be measured by length, width, depth, or weight. For example, 2D is a circle drawn on the wall and 3D is a soccer ball. 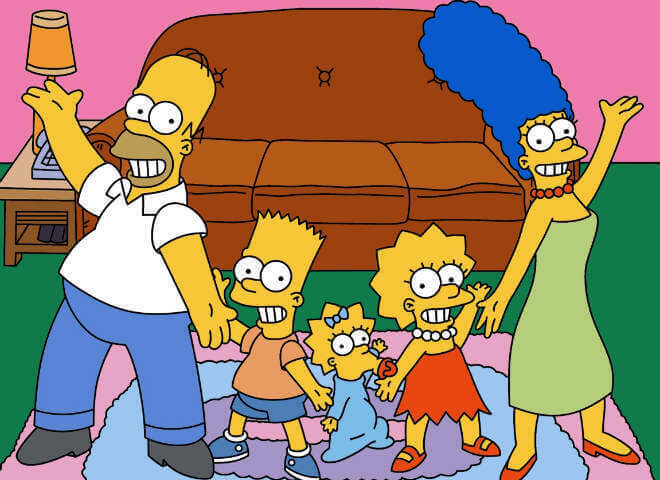 2D animation is how a typical animated television show is made. Artists put scenes and characters in a 2D space and use foreshortening and perspective to create space and depth. To give the drawings the illusion of movement, artists draw images and then photograph them one image at a time. It is similar to flipbook art where each drawing is slightly different enough so that the images look like they are moving and alive. Before 3D animation, 2D was the most popular form of animation. 3D animation is different in that it can only be done with the use of a computer, if you don’t count stop-motion. Objects in a 3D animation exist in an X, Y & Z world and can do things that are impossible in 2D animation such as having volume, rotating 360 degrees, and more. 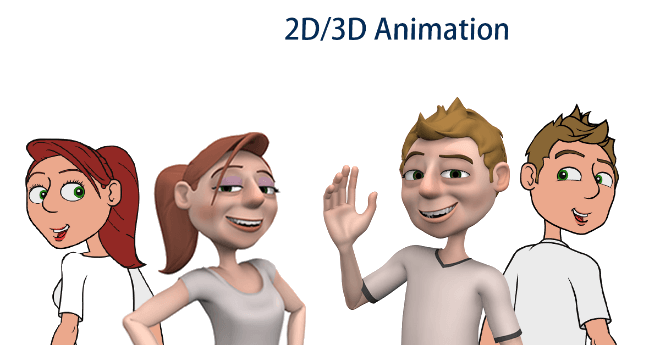 3D animation is more lifelike because objects can be viewed from different camera angles, can be lit from different directions, have textures that make them appear solid, and can be placed into live scenes and elements. Neither 2D animation or 3D animation is considered better than the other because they each have their pros and cons. Which one is considered best depends on what the project requires. Is Animation Hard To Learn? Both 2D and 3D animation can be learned by either going to a school or teaching yourself. Receiving instruction from trained and experienced professors is recommended if you want to quickly learn all the ins and outs of both animation techniques, including the various software applications used today. If going to a school isn’t an option, teaching yourself to use 2D and 3D software with online tutorials is possible as well. The internet is also ripe with valuable information such as principles of animation, how to design memorable characters, creating a believable level of realism, and more. How Hard Is It To Become An Animator? Animation, like any creative art, requires several things to be successful: patience, talent, disciple, and a willingness to work hard. Not only do you have to learn various techniques and software programs but you also must have some degree of creativity and inspiration. Knowing everything there is to know about animation doesn’t matter if you lack the imagination needed to create characters, stories, and worlds that people will be charmed by. It is difficult to determine which of the two animation types are easier or more difficult since they both have their strengths and weaknesses. For example, creating characters for 3D animation is a much more time-consuming process than a 2D character because the animator has to take into account all the different views, which means every side of the object has to look good. In contrast, a 2D image only has one side. That being said, it is considered much easier to animate a 3D scene because you’re simply moving and manipulating the objects, lights, and camera. A 2D animation requires multiple drawings to give the illusion of movement, which means you can’t change the view of a 2D scene or add the illusion of depth without redrawing it. Where Can I Learn To Be An Animator? There are countless schools all over the world teaching the next generation of 2D and 3D animators. There you’ll find professors with the skills and experience needed to help you refine your talent, learn new software programs, master important techniques, and more. You’ll also work alongside other aspiring artists with their own talents and goals. As mentioned before, the internet has become a great place to learn 2D and 3D animation without ever having to leave your home. There are plenty of tutorial videos for all the major software programs, as well as guides, articles and other resources meant to teach artists everything there is to know about animation. A digital painting and drawing application renowned for its ability to let artists get work done faster than most other programs. Useful tools in the latest version include a Perspective Guide that lays out perfect 1-point, 2-point, 3-point, and fisheye perspectives, a Distort transform tool for adjusting and positioning perspective, a Flipbook animation tool, an improved layer editor, and more. Looking for Autodesk Sketchbook tutorials? Fear not for they have their tutorials in their knowledge base. A program that has become a household name among professional artists for being used by numerous entertainment and digital art companies. It helps 2D artists and animators alike by allowing you to edit and compose raster images in several layers while offering a vast number of features. If there’s one program any and all animators are expected to be familiar with, it’s Photoshop. Learn how to use Photoshop here. This program, which has been used for countless films and shows, is one of the best for any aspiring 2D animator new to the art. Known for being easy to pick up and master, Toon Boom Studio also has a host of features such as animation effects, bone animation tools, and a library of useful content. Here are Toon Boom Studio video tutorials you can watch to help you learn. Autodesk’s computer graphics program is one of the most popular among TV commercial studios, architectural visualization studios, and even game developers. It can be used to make 3D animations, models, and images for anything from movie effects to movie pre-visualization. It also boasts the most robust animation and modeling tools of any 3D program by offering dynamic simulation, global illumination, shaders, particle systems, a customizable user interface, radiosity, and more. You might want to try Lynda.com’s 3ds Max tutorials. From mobile games and next-gen titles to even upcoming virtual reality experiences, Unity has seen a meteoric rise in popularity among game developers. Its appeal comes from being very easy to use, offering plenty of features and art assets, and making available a free Personal Edition to try out before considering the Pro Edition. Notable games built with Unity include Lara Croft Go, Battle Worlds: Kronos, and Ashen Rift. Check out our list of Unity game engine tutorials. A 3D computer graphics software used to make interactive 3D applications for visual effects, films, TV shows, and video games. It offers everything you’d expect from a professional program, including fluids, particle effects, skinning, modeling, rigging, and more. Maya has been used to create several films that ended up winning Academy Awards. Watch free Maya training videos here. How Long Does It Take To Be An Animator? While a lot of 2D and 3D animation software programs can take only a few weeks to get the hang of, mastering them is a different story. 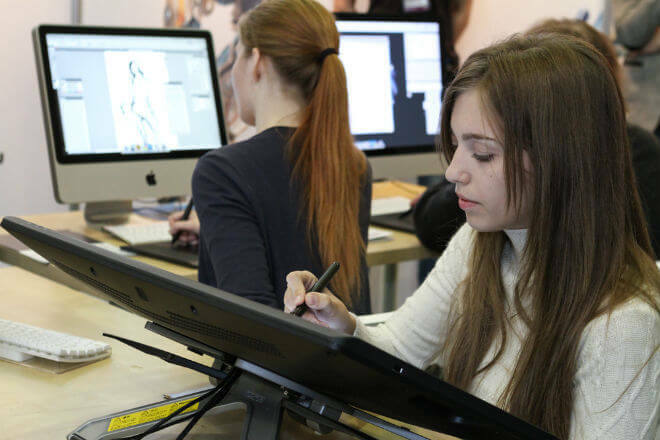 Learning to be a professional animator can take years of practice and learning, which is why most aspiring animators enroll in one of the many art programs offered at schools across America and other countries. You’ll learn much faster with hands-on training led by an experienced professor that can answer questions, offer advice, and more. 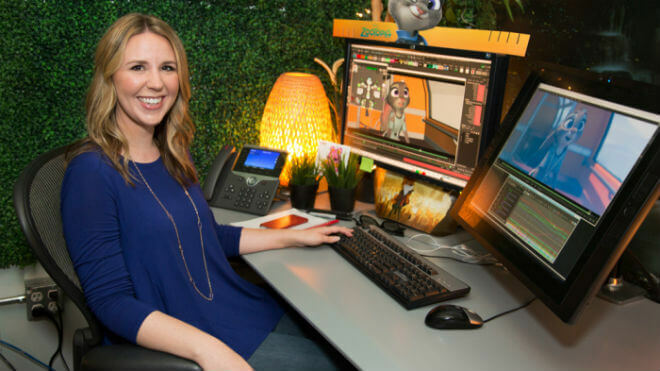 Animators are in high demand in just about any entertainment industry that uses either 2D or 3D animation. Either 2D or 3D animators make significantly more than the other. According to PayScale, 2D animators make on average between $39,740 and $56,500, depending on the industry. As for 3D animators, the medium salary tends to be between $38,500 and $79,500. Where you work plays a great impact on how much you can make. As for places to work, there are countless game and animation studios all over the globe in need of talented and passionate animators to bring their ideas to live. 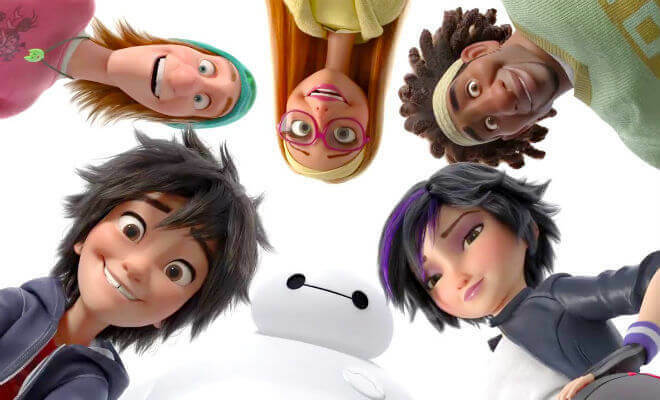 To check out even more of the top animation companies most aspiring artists dream of working at, see our list of “The Top 50 Animation Companies”.